The Endangered Species Act (ESA) is broken. Indeed, it was born broken. Enacted in 1973, the act is based on the myth of the balance of nature and, in particular, on a flawed understanding of the biological state of the Americas at the time of Columbus’s arrival. It is not even an endangered species act; it is an endangered subpopulation and distinct population segment act. And its regulatory approach ignores the role of states and landowners in species protection. The "balance of nature" is the idea that nature is characterized by constancy and stability. Biologists today understand that there is no balance of nature, there is no ecological stasis, there is only change. Therefore, the Endangered Species Act cannot restore a balance of nature by restoring species. In his book Discordant Harmonies, biologist Daniel Botkin (1990, 42) observed that the views underlying the environmental laws of the 1970s "represented a resurgence of prescientific myths about nature blended with early-twentieth-century studies that provided short-term and static images of nature undisturbed." "Nature undisturbed" assumes that the American continents were a wilderness teeming with untold numbers of bison, passenger pigeons, and other wildlifeâ€”until Europeans despoiled it. This concept seldom takes account of Native Americans. Indeed, when it mentions Native Americans it depicts them as primitive savages, sometimes as "ecologically noble savages." My colleague Charles Kay (2003), a wildlife ecologist, has shown how serious a misconception this is. He has quantified all the wildlife observations and encounters with native people recorded in the journals of the Lewis and Clark expedition. 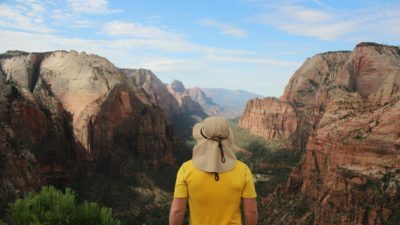 He found more than 40,000 journal entries and plotted the abundance of wildlife and native people day-by-day for the entire 863-day journey. The only places that Lewis and Clark observed significant numbers of wildlife were in buffer zones between tribes at war. Because Indians avoided these zones, wild animals flourished. If it had not been for buffer zones, Lewis and Clark would have found little wildlife anywhere in the West. Kay’s research demonstrates that humans were the apex predator in the pre-Columbian Americas. Along with new research in ecology, archeology, and anthropology, these findings clearly contradict the "nature undisturbed" vision. Thus the current federal program to bring wolves to the West is based on a myth. At the time of Columbian contact, there were few wolves in the West. Humans, the top predators, out-competed wolves for their prey. Wolves only flourished after European crowd diseases decimated Native American populations. The second reason the Endangered Species Act is broken is that it is not about species, but about subspecies and "distinct populations." Wolves as a species are not threatened with extinction. There are thousands of gray wolves in Canada and Alaska. Yet of the list of 1,264 endangered or threatened U.S. species, the gray wolf ranks twenty-fourth in terms of expenditures. We spend millions of dollars to protect a non-threatened species and justify it by arbitrarily creating "distinct population segments." Under Fish and Wildlife Service rules, if a gray wolf wanders south to where Interstate 70 bisects Utah and manages to cross the road, it immediately changes legal status. The wolf has moved into the Southwest "distinct population" segment and must receive extra protection. Biologically it is the same animal. Legally it is notâ€”although in February a U.S. District of Court in Oregon ruled that the "distinct population" regulations are invalid. We’ll see what happens. By concentrating on subpopulations and distinct population segments, managers miss an important point. What matters biologically is whether the DNA that represents a particular species continues to exist. Distinct DNA differences between subpopulations may offer a biological argument for preservation. Without those, however, there is little biological justification for federal expenditures. 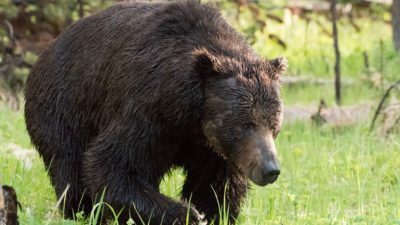 Third, the ESA is broken because it ignores one other important realityâ€”that 80 percent of all listed species have all or part of their habitat on private land. Under the current law, landowners are punished for owning habitat that attracts or protects an endangered species. The act prohibits harm to an endangered species, and the Fish and Wildlife Service interprets harm to include modification of habitat. Because modification of habitat equals "harm" in the eyes of the law, innocent people can be treated like wrong-doers. Once this interpretation was made, says Michael Bean (1999, 12) of Environmental Defense, "a forest landowner harvesting timber, a farmer plowing new ground, or a developer clearing land for a shopping center potentially stood in the same position as a poacher taking aim at a whooping crane." This fact leads rational, normally law-abiding citizens to destroy habitat before an endangered species arrives. First, forget the 1970s’ mythology and romanticism of the "balance of nature" and concentrate on real problems. Adopt environmental federalism as a clear policy goalâ€”give state governments control over endangered species. The national government should be responsible for national problems, including the potential for global extinctions, not local ones. It makes little sense to spend scarce money to protect a marginal distinct subpopulation of a species already thriving elsewhere if it means you cannot protect an actual species from extinction. 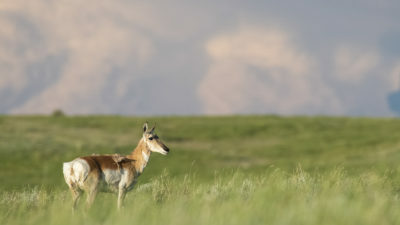 States can protect subspecies and distinct populations, using innovative techniques and creating interstate compacts for subspecies whose range crosses state lines. Some will claim that if states are in control, they will neglect species protection in an attempt to promote economic development. In fact, the opposite tends to be true. State forests are better managed, both environmentally and economically, than federal forests (Leal 1995). Some states have stricter laws than those imposed by the federal government. States have time- and place-specific information that allows them to react more quickly and more creatively than federal agencies. My second recommendation is to take away federal officials’ regulatory hammer and replace it with funding to encourage preservation. A simple administrative change could replace the definition of "harm" used by the Fish and Wildlife Service. Because "harm" currently includes habitat modification, federal agents have little incentive to be innovative in saving endangered species. But if they lose their regulatory hammer, they will have to discover new tools to protect species. They might create a range of innovative programs similar to the U.S. Department of Agriculture’s Conservation Reserve Program, for example. They could devise production contracts for property owners who increase habitat and species numbers (Bourland and Stroup 1996), use leases, offer bounties for having species reproduce on one’s land, and on and on. Money for such a program could come from a user charge on public lands or from earmarking funds from oil and gas production on public lands. We may already appropriate enough money to cover the costs of innovation. We will not know until we actually think beyond direct regulation. To return to my three original themes: First, for at least 10,000 years humans have been the primary forces structuring "natural" systems, and those systems are in constant change. Saving species cannot rely on a "nature undisturbed" vision. Second, we should leave national problems to the national government and leave distinct population segments or subpopulations to the states. Third, the cooperation of landowners depends on changing the Endangered Species Act. Unless landowners can see that they will not be penalized in the future for providing space for species today, they will have no choice but to destroy habitat preemptively. Under my proposals the national and state governments would become partners with property owners rather than adversaries. Money would be directed to saving actual species. States would have authority and responsibility for managing our biological heritage. These proposals actually are based on conservationist Aldo Leopold’s admonition to experiment with many systems instead of following "one-track laws." By engaging property owners in the effort to protect species, we will also follow Leopold’s admonition that "conservation will ultimately boil down to rewarding the private landowner who conserves the public interest" (Leopold 1991, 202). No claims about the value of biodiversity or moralizing about the diversity of life will change that basic fact. Bean, Michael. 1999. Endangered Species, Endangered Act? Environment, January/February. (cited February 10, 2005â€”http://www.environmentaldefense.org/article.cfm?ContentID=713). Botkin, Daniel. 1990. Discordant Harmonies: A New Ecology for the Twenty-First Century. New York: Oxford University Press. Bourland, Thomas R., and Richard L. Stroup. 1996. Rent Payments as Incentives. Journal of Forestry April: 18-21. Kay, Charles E. 2003. Aboriginal Overkill, and the Myth of Once Abundant Wildlife. In A Confluence of Cultures: Native Americans and the Expedition of Lewis and Clark. 2003 Symposium Proceedings. Missoula: University of Montana, 103-109. Leal, Donald R. 1995. Turning a Profit on Public Forests. PERC Policy Series, PS- 4. Bozeman, MT: PERC, September. Leopold, Aldo. 1991. The River of the Mother of God and Other Essays, ed. Susan L. Flader and J. Baird Callicott. Madison: University of Wisconsin Press. 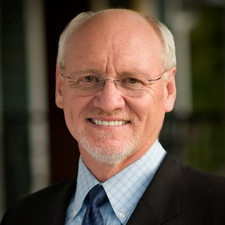 Randy T. Simmons is a senior fellow of PERC and professor of political science at Utah State University. He coedited Political Ecology: Wilderness and the Original State of Nature (University of Utah Press, 2002). This article is adapted from one published originally by HeadwatersNews (www. 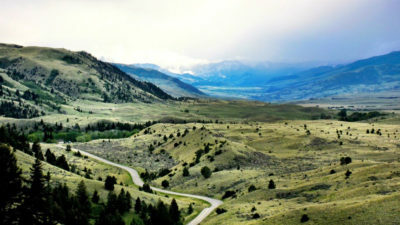 headwatersnews.org), a project of the Center for the Rocky Mountain West at the University of Montana, Missoula. A podcast about free market environmentalism. Earth Day is a moment to celebrate the gains of conservation and the natural world. An interview with PBS on predator conservation in the Greater Yellowstone Ecosystem. 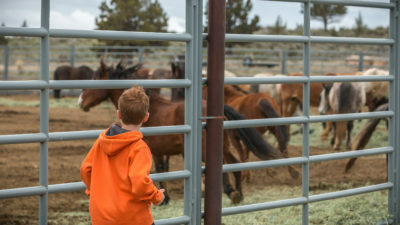 A Breakthrough for Wild Horses in the West? 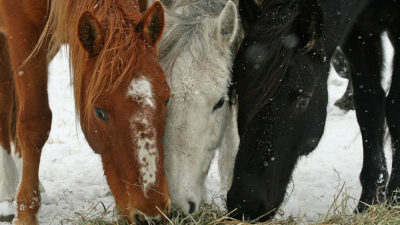 Using ideas from PERC research, the BLM recently announced a new program to increase wild horse adoptions. Incentive payments to promote wild horse and burro adoptions will benefit the animals, our rangelands, and taxpayers. To attack APR's property rights — or to use state resources to formally rebuke the good-faith efforts of a law-abiding conservation organization — is to undermine the property rights of everyone.